The New York Times sees shades of Matisse and Koons. 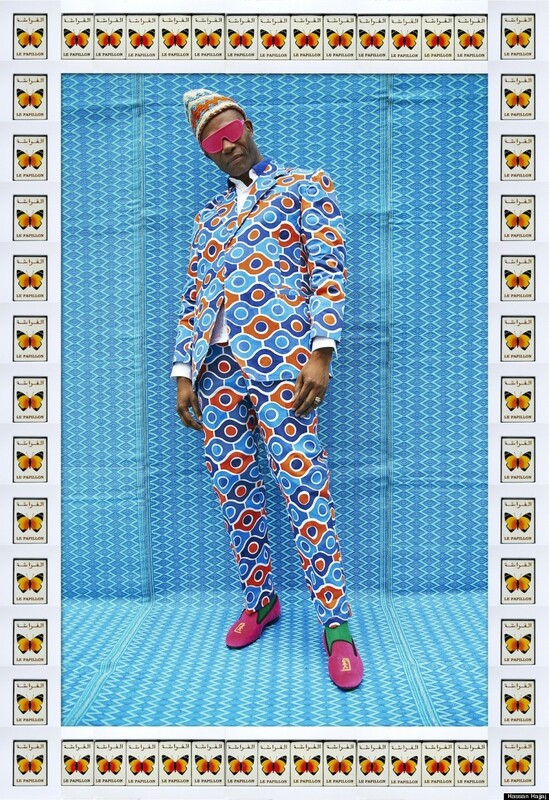 ArtNet is convinced he's the next David LaChapelle. 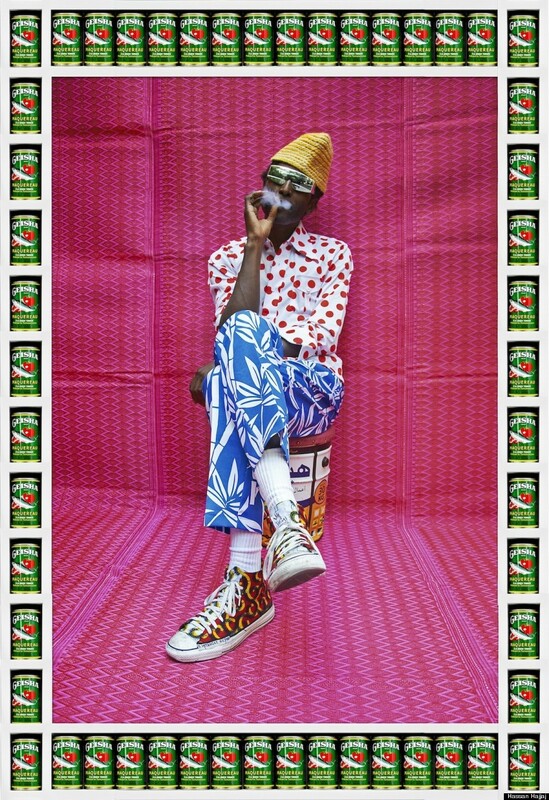 But Hassan Hajjaj, the Moroccan stylist and photographer, started out simply wanting to capture the essence of his home country in ways his buddies back in London would appreciate. The 53-year-old multidisciplinary artist was born in Morocco and moved to London in his teens, at the height of the punk craze. For the last 15 years, he's joined the two cultures, splitting his time between Marrakech and London as he turns out densely textured portrait photography that plays well in the West but requires North African artistry to even exist at all. His subjects are his current friends, who pose and dress in ways that translate into arresting hybrid art. A recent series, Kesh Angels, depicts a cross-section of this crowd -- mostly women -- in traditional clothes printed in global symbols of capitalism. Here a Louis Vuitton print, there a Nike swoosh. Many are henna tattoo artists who embody nuance in their daily life, zipping to jobs on a scooter, head scarves in place. Likewise, Hajjaj's first solo show in America -- My Rock Stars: Volume 2 -- presented his male friends in the overblown poses of a Western icon, the rock star. Hajjaj designs the entirety of his shows, down to the clothes for the shoot and gallery seating. He hires local tailors and artisans to manufacture the work, which is often a neat fusion of two ideas, such as a Western suit pieced out of regional textiles. Hajjaj may be the name in the gallery notes, but these men and women are collaborators, switching from what Hajjaj once called an "automatic," "factory" process -- a souk tailor might typically produce nothing but pinstriped suits for businessmen throughout his career -- to atelier-esque customization. Scroll down for more from Hajjaj's Rock Star series, and let us know your thoughts. Metallic Lambda print on Dibond with wood and found objects, 35.5 x 25.5 in. Courtesy of the artist and GUSFORD | los angeles.